I was talking with the guys on our PixARK server today about my plans for what I want to do next in the game. I've decided I want to build a base on the back of a brontosaurus! That has always been a goal of mine, even before I bought the game, but now it's time to make this a reality. How's that going to happen? Well, on our server the brontos are on a different continent. That means we'll have to tame some massive manta-dino and strap a platform on its back. Then we'll have to tame a bronto and walk it onto that platform, and 'sail' it back to our continent. My grand plans for this brontosaurus base in PixARK include having the whole thing decked out with electricity, automated defense turrets, air conditioning, and a complete home away from home. 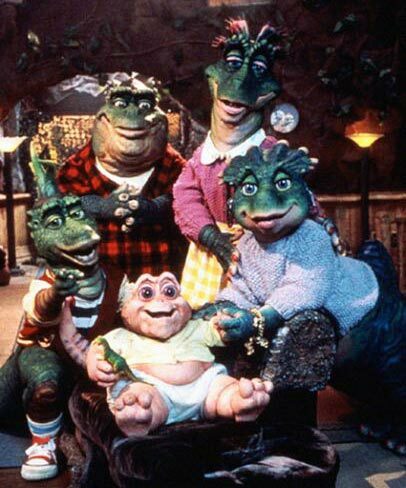 Thinking about the 'building a home' side of PixARK, I had flashbacks of that TV show called Dinosaurs. Did any of you guys watch that? So much about the game reminds me of Dinosaurs. We're also thinking about building flying bases on the backs of Quetzals, which are these massive pterodacyl bird things. That would be sweet. All of this base-on-dino talk made me remember another TV show from my childhood: Dino-Riders! Now THAT was an awesome cartoon. I had all the toys INCLUDING this brontosaurus base! When I think about all the cool bases, I sometimes wish we were on one of those servers with 70 people on them. That would make for more people to interact with. Then I actually stop and think about 70 people messing up my stuff, and I quickly like that our servers is small and safe. I mentioned in comments from yesterday's PixARK adventure log update that one of the greatest thing about PixARK is that I can make some really grand magnificent plan, and then actually execute that idea. Though, like my Minecraft schemes, I end up making plans for my plans. That's part of the overwhelmingly fun nature of the game. Previous PostExploring the World on the Back of a T-Rex! You seem to really enjoy your time in this game, now that makes me wonder why. 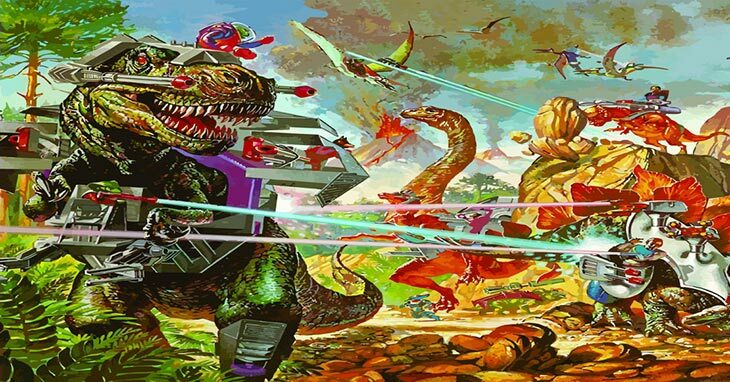 Why are you so into this game when you could’ve done the same for years in Ark proper? What makes this tick your boxes and that not? I think first and foremost, it runs on my computer. 😉 I purchased ARK last year and couldn’t get more than 20FPS, so I quickly did a Steam refund. It’s also easier. It’s ARK, but it’s not. I think it probably shares 70% in common with ARK, but then spins it in a more approachable way. There’s also the block breaking and digging a la minecraft. I’m also a big fan of the cartoony, cute, stylized graphics. I’m sure that if I could actually get ARK to run, I would have had fun playing. Heads up that in Ark proper it’s generally a rule that entities that can support platforms cannot go on other entities that can support platforms. So I’d be surprised if you could get the bronto supported by a platform on a manta. This could be one of those changes they made to the game though so maybe try it anway. I have transported large herds of brontos over water before– simply had them swim. Oh interesting… brontos can swim in deep ocean water? I’ll try that if the platforms don’t work! Thank you. Man, all your talk about this game really makes me want to get it, I liked ARK except for the constant LAG, and I like the look of this a lot better, plus it sounds like they did away with some of the things I disliked about ARK in the changes for this over your posts on it. But then I remember Battletech comes out on the 24th and I’m torn.